LEST WE FORGET: Veterans Bob Evans and Bruce Clayson share in a poignant moment to pay respect to all those who served in war. MILLICENT stopped for one minute of silence to commemorate those who fought and died in conflicts since World War I on Saturday morning. 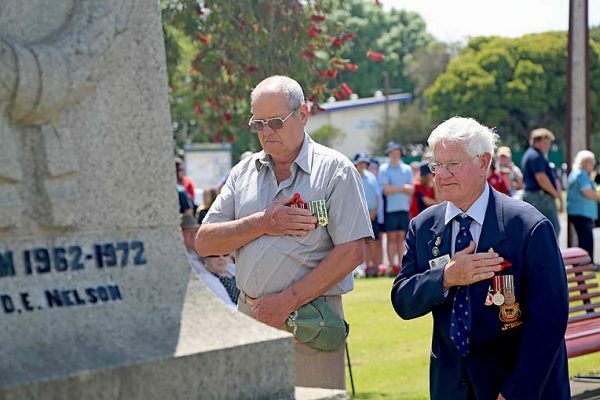 More than 170 people gathered at the Millicent Cross of Sacrifice to pay tribute to wartime service and sacrifice at the annual Remembrance Day ceremony.